Editor’s Note: Arash Asli, CEO of Yocale, penned this fine post as a Leadpages Guest Blogger. When it comes to lead generation and conversions, Google Analytics is one of the most powerful tools a business can have in its toolkit and it also happens to be the most popular option on the market as well. Why is that? Because Google Analytics helps draw back the curtain and better understand the behavior of your web traffic by giving you the insights you need to convert traffic into customers. You might already know that the best (and biggest) businesses out there are driven by powerful data from Google Analytics and the good news is that you don’t have to be a tech person (or hire one) in order to make data-driven decisions. But, the question is: are you using Google Analytics to its fullest potential? The reality is that a lot of small businesses and marketers out there are only using Google Analytics to see very basic reports and graphics, leaving a wealth of powerful data just sitting on the table. While you may have the basics of Google Analytics down (and this is certainly a great start), there are a lot of more advanced techniques and other tips and tricks that will provide more insight into the inner workings of your business and enable you to make even better decisions for your business. The best part? Even though these techniques/tips are more “advanced,” many of them are incredibly easy to set up. That means that you can get your hands on excellent, actionable insights without breaking a sweat. With this in mind, this blog post will take a look at 5 semi-advanced Google Analytics tips and tricks that you should know. Here are 5 Cool Things You Can Do with Google Analytics and Leadpages. If you want to get the most out of Google Analytics, setting up custom dashboards is a critical task that you should add to your Google Analytics skill set. If you’re already familiar with Google Analytics to some degree, you know that your dashboard is a collection of widgets that gives you an overview of various metrics and reports. Examples include page views, average time on page by post type, social referrals, and more. Essentially, custom dashboards allow you to have your most important data easily within view whenever you log into Google Analytics. It keeps you focused on your goals. And while the default dashboard is certainly useful, every business has its own set of metrics that are important to them. That means that if you are serious about meeting your business goals, setting up a customized dashboard is going to be critical if you hope to track your progress toward your goal. Step 2: Click ‘Create.’ From here, you will be given the option to either select ‘Blank Canvas’ or a ‘Starter Dashboard,’ the latter of which has a bunch of default widgets. From here, give your dashboard a title. Step 3: Once you have created your dashboard, it’s time to choose your widgets and add them to your dashboard. Let’s say that we want to keep an eye on our bounce rate, a classic measure of the health of your website as it indicates if your content is providing enough value to users (if not, they ‘bounce’). You can see from the list above that you can choose to display your data in any number of ways, from tables to pie charts to bar graphs and so on. Some widgets can also be displayed in real-time, which means that their metrics are automatically updated. In comparison, standard widgets are only updated when you reload your dashboard. Need the full scoop on what you can do with third-party analytics platforms and Leadpages? If you pay attention to one thing on this list and ignore everything else, it should be segmenting. Segments in Google Analytics are in-depth snapshots of your traffic. With segmenting you can see deeper insights instead of just the broad overview. For example, you can see how many users made a purchase (which would then allow you to focus your marketing efforts on those high-value customers). Alternatively, you can see what users added a product to their cart but failed to complete the transaction – i.e. your non-converters. These segments can then be applied to your other reports. So, when you look at your Acquisition > All Traffic > Channel report, for example, you can then see what channels those high-value users found your website from (referral traffic, organic search, and so on). This, in turn, tells you where to focus your marketing efforts (and perhaps where not to). And this is just one such example. A lot of people tend to focus on all users, but the problem is that this only provides a very surface-level view of what’s actually happening with your business. Further, it doesn’t provide a lot of actionable data that would allow you to actually make helpful decisions. So, that’s where segments come in. But before we do anything, here are two things you need to know about segments: there are default segments and custom segments (we will cover both). Default segments are already-defined segments that you can simply choose from. As you will see, examples of default segments include Bounced Sessions, Converters, Direct Traffic, Organic Traffic and a lot, lot more. In contrast, you can set up your own custom segments when you want even more specific data that isn’t available from the default segments list. This is typically the case when you want data that is specific to your particular website. Step 2: From here, all you need to do is click the ones that most pique your interest and then click the ‘Apply’ button at the bottom left-hand side of the page. Keep in mind that you can choose several segments at one single time. For example, you can compare both Converters and Non-Converters. Google Analytics will then show you a graph of the data, like the one below. If you’re comparing two different segments. Google Analytics will colour-code the graphs so that you can easily see the difference between these two segments. To remove the segments, you can simply click the drop-down menu and then click “Remove” at any time. These segments provide a great starting point, but you can also create your own segments as well. Again, custom segments are ideal for looking at in-depth data that is specific to your particular business. Custom segments can be grouped based on demographics data, technology, behaviour, date of first sessions or traffic sources. For example, perhaps you want to see the traffic that has spent over a specific amount of money. Maybe you want to see the users that have spent at least 25 minutes on your site. With custom segments you can also see what users came from a specific marketing campaign or those that came from a specific keyword. You can see even what portion of your traffic visited the blog section of your site. As you can see, you can create custom segments based on demographics, technology, behaviour and so on. This gives you a foundation for setting up your custom segment. All you need to do is complete the required fields. Here’s the thing: while Google Analytics is the holy grail of analytics software, it does have limitations. That’s where custom dimensions come in. If you are somewhat familiar with Google Analytics, then you would know that dimensions are “attributes of your data.” Elements like ‘city’ (Vancouver) would be one example of a dimension. Google Analytics offers a lot of predefined dimensions, but sometimes they aren’t enough. With custom dimensions, you can combine your CRM data with Google Analytics or determine how much traffic different authors get on your site. You can see what categories of your site generate the most traffic. In short, custom dimensions allow you to collect and analyze data that Google Analytics doesn’t automatically track by itself. Custom dimensions are similar to default dimensions except, in this case, you determine their value. Ultimately, custom dimensions allow you to collect data that is specific to your particular business—and, again, data that isn’t typically trackable via Google Analytics. 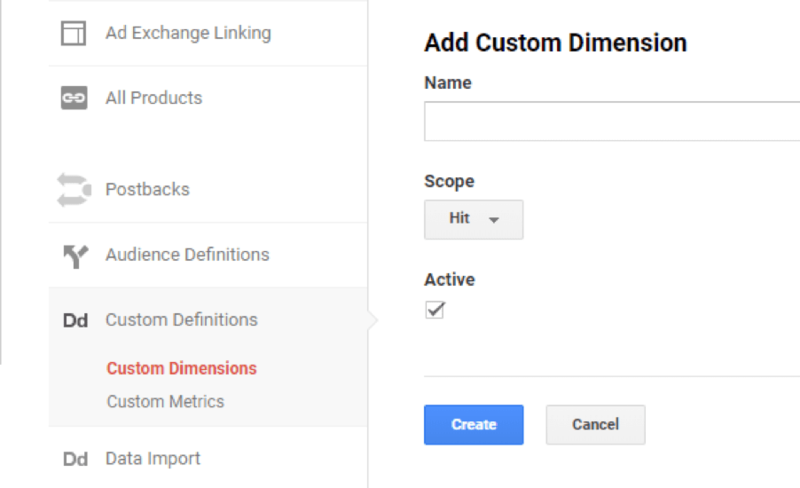 Keep in mind that for a standard (free) Google Analytics account, you can set up 20 custom dimensions. However, remember that these cannot be deleted. The first step in setting up custom dimensions is to determine what you would like to measure. Once you have decided, you have to then define the customer dimension in order for the data to be sent to Google Analytics. In other words, you have to give the dimension a name and assign it a value. Step 3: Complete the required fields, including name and scope. This code is needed to collect the custom data. (If you’re using WordPress, you can find the area where you will need to copy and paste your code under ‘Appearance.’ Ensure that you save the changes). The next stage of setting up custom dimensions involves using Google Tag Manager. This stage actually involves a series of steps, so you might want to grab a beverage! Step 1: Once you are in Google Tag Manager, click ‘Variables’ from the left-hand side menu. You can begin filling out the field that requires you to name the variable. For this field, go ahead and just assign a name that is similar to the ones used above – this will simplify things when you try to refer to this in the future. Step 3: Next, click on the Variable Configuration circle as seen in the above screenshot. You will then see a page that asks you to select the variable type. As always, ensure that you save the changes. If you set up more than one custom dimension at the same time, you can go ahead and repeat this process with however many custom dimensions you decide to set up. Step 5: Once you do this, you will want to click on the tag configuration circle just as you did above and then select the tag type. Next, complete the event tracking parameter fields as well. These should be self-explanatory, but under ‘Label,’ you can select your custom dimension. Step 7: Click ‘+Add Custom Dimension’ and then fill out the required fields. Step 9: Scroll down to the bottom and you will see ‘Triggering.’ Click on the pencil. Click the ‘+’ button to create a new trigger. Just as above, you will need to name the trigger and then configure the settings. From here, all you need to do is save all of your settings and then click the orange ‘Publish’ button. Keep in mind that it may take up to 24 hours before the data actually appears in Google Analytics. Another important, more advanced feature of Google Analytics that you should learn to master is event tracking. Have you ever wondered how many website visitors downloaded a file on your website or watched one of your videos? If you have any sort of lead magnets on your website (think ebooks or webinars), it is very useful to know how many people are actually downloading and clicking on your website. Knowing which links generate the most clicks can help you to make better decisions. Keep in mind, if you’re already a Leadpages customer – this information is tracked directly in the Leadpages platform. That brings us to Google Analytics event tracking. Simply put, event tracking allows you to track virtually anything that someone would click on. This could be a file download, link clicks, flash movie plays and so on. Keep in mind that event tracking tracks all of these things entirely separately of a web page. Event tracking is much like heat mapping software except this data is easily trackable within Google Analytics instead of having to pay and install additional software on your site. The first step is to set up basic tracking on your website. This involves a series of steps that you have to do before you can even set up actual event tracking on your site. Step 1: The first step is to set up a property. The purpose of doing this is so that it will generate a tracking ID. This will be needed in your gtag.gs tracking code, but more on this to come. Step 2: Once you have set up a property, you will be able to find your tracking ID. To do this, sign into your GA account and then click ‘Admin.’ From here, select the relevant accounts/properties. Under PROPERTY, the next step is to click ‘Tracking Info’ > ’Tracking Code.’ Your tracking ID will be at the top of the page. Step 3: The third and final step is to copy and paste the gtag.js code for each web page that you want to track. Immediately following the opening <head> tag on each page, add the code, just as you will see below. Of course, you will use your own tracking ID instead of the GA_tracking ID as is in the example. Step 2: The next stage involves adding code to your links (this sounds complex, especially if you are not overly familiar with code, but it is really quite simple). So, once you decide what event you want to track, it is simply a matter of using the above tracking code template and plugging it in with your own values. Rounding out our list of critical Google Analytics features that you should make use of is retargeting (also known as remarketing). Just in case you’re not familiar with the power of retargeting, retargeting essentially allows you to show Google banner ads to those who’ve visited your website but left without taking the desired action. For example, if a user has visited your pricing page but has not made a purchase, you can serve them banner ads as they surf the web and invite them to come back to your side and close the deal. These ads can be customized based on the specific actions that those people took on your website. As you will see, this is where the power of Google Analytics retargeting lies – it gives you the ability to target people based on very specific behaviours. Ultimately, only 2% of people who visit your website will convert or make a purchase. If you don’t have a plan for the remaining 98%, you are missing out on a lot of opportunities to convert people and to ultimately increase your sales. Just how likely are they to convert, you ask? One study found that retargeting makes visitors as much as 70% more likely to convert. You may be one of those people who are already taking advantage of retargeting via Google Adwords. The power of Google Analytics retargeting, however, and mentioned above, is that it gives you the ability to target people based on very powerful criteria. If you want to show banner ads to those who looked at a specific number of product pages for example, you can do that. You can see how much more powerful this targeting is. Once you’ve created your retargeting list in Google Analytics, you can then use it in AdWords or elsewhere and finish running your campaign. Simply put, they are likely to convert but for some reason they just haven’t yet. That’s exactly why you want to retarget them. Step 7: Determine fields like “Lookback days,” “Audience name” and so on. Ensure that you save your changes. If you want to increase conversions and sales, viewing basic metrics on Google Analytics isn’t enough. You have to dig a little deeper in order to access the data that will actually drive results and make a difference. What are your top tips for going further with Google Analytics? What do you wish you’d taken advantage of early on in your digital marketing journey? 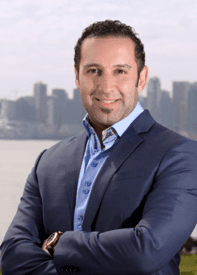 Arash Asli is at the forefront of business growth helping SMBs grow their businesses, as CEO of Yocale.com, an online scheduling and marketing platform. His thought leadership have been featured in major publications including Forbes, Huffington Post, and Inc. He is honoured to have been named the Business in Vancouver’s Top Forty under 40 business executive.